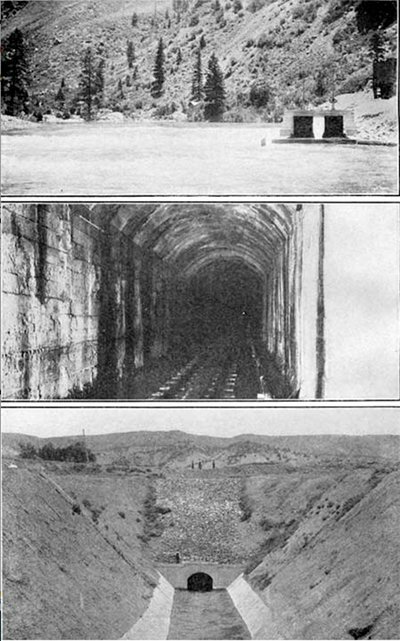 While the tunnel was being dug, other crews were gouging canals into the west-side landscape, including the main artery, the 11-mile long South Canal. “Go out and look at the canals in winter,” Catlin said. “Imagine mules and Fresno scrapers – no bulldozers! They fed sheep in the canals in winter – all those little tiny feet packing that ‘dobe clay so that the canals wouldn’t leak!” Today the Water Users take care of 575 miles of canals and lateral ditches supplying three communities, two counties, and irrigating 80,000 acres of cropland. Not to mention municipal water (by Tri County and other water districts in Project 7) delivered as far as the outskirts of Ouray. More Uncompahre Valley coverage here and here.